Managed Marketing Services – less stress, greater return. Many business executives feel a constant tug-of-war with their marketing efforts. DB Marcom can help stop the tug-of-war and get control of scattered marketing activities with managed marketing service packages designed to turn your marketing system into a well-oiled, lead generating and lead converting machine. Whether you are seeking an integrated solution to complement your existing efforts, or you are ready to completely outsource your marketing system – we are your marketing partner. Here are a few of our managed marketing service packages. Give us a call and we’ll help customize one that is just right for you. Let’s get in the game with a package that is perfect for the local business wanting to set the right foundation for growth. We’ll review your website to find and fix issues to help improve your site performance, increase conversions and boost your SEO. One of the most critical factors in your online presence, we’ll help you get your profile in top shape and keep it that way. Testimonials and customer reviews can make or break a business. We’ll help make sure your reviews are working for you by setting up a proven method to generate and showcase positive reviews for your business. We’ll make it easy for customers to find you and help increase your search engine rankings by setting up your directory profiles and business listings and maintaining the accuracy each month. Search Engine Optimization is not a ‘one-and-done’ activity. Achieving and maintaining high rankings takes time, expertise and the right tools. Luckily, you have us. We’ll help you benchmark your current levels, then work with you on a monthly basis to help improve your rankings. Ready to take your game to the next level? This tool kit of essential elements will help you get control and add power to your marketing efforts. Even the most skilled athletes don’t get on the field without a strategic playbook, you shouldn’t either. We are a ‘strategy-first’ partner and will work with you to develop a strategic plan focused on just the right marketing activities to help you realize quicker ROI. Your brand is more than a logo, font treatment or color selection. Your brand is your promise to your customers and a statement about the value you offer. Successful branding strategies create value for the business and influence customer motivation and behavior. To maintain and grow your brand’s value, it needs to stay relevant with changing customer behaviors and expectations. We’ll help you conduct a check-up on your brand to discover if your brand image, brand voice, target audience demographics, mission & vision statements, and stakeholder messaging are aligned and supporting your current business goals and value proposition. Customer Personas are semi-fictional representations of your ideal customers and can help inform marketing strategies, create more meaningful messaging, and help you find more customers just like them. Gaining a clear view of your how your customers progress through the buying cycle can be complex, but well worth the effort. We’ll help you uncover their behaviors, experience, and expectations so you can deliver targeted and consistent experiences throughout every touchpoint. Building a content plan can be complex and overwhelming. Every component should be on-brand and focused on helping move your prospective buyers through the buying process. We’ll conduct a content brainstorming session, research potential SEO keywords, and build out a plan focused on monthly themes and distribution tactics to help you find your ideal prospect and convert them into loyal customers. A content calendar is an important step to organizing your content marketing activities. We’ll create quarterly, keyword targeted editorial calendars focused on delivering fresh, relevant content that enhances your brand, creates meaningful engagement, and improves your search rankings. Based on your strategic plan, customer personas, content plan and proposed calendar, we will research, write, produce and post 4 blogs per month focused on delivering relevant and meaningful content to prospective buyers and influencers. Many businesses understand the value of social media but report they are just too busy or don’t have the internal resources to make it effective for them. We can simplify the process, reduce the stress, and deliver a social media management plan that works for your business goals. We’ll start with the Strategy Plan, Content Plan, and Editorial Calendar, then we’ll set up a social media portal and establish a posting routine based on your preferences and business needs. Each month our team will provide 80 posts to Facebook, LinkedIn, and Twitter, along with month-end reporting so you can see just how your social media activities are paying off. Did you know that 77% of consumers prefer email marketing as the preferred method of commercial communication? Or that email marketing, according to DMA, has a marketing ROI of 4,300%? We can help you leverage the power of email by developing an email marketing plan that gets attention and increases conversions. Your website is the cornerstone of your online presence and the foundation for your sales process. Our team will build a custom WordPress website specifically designed to maximize your content strategy and help you attract, convert and retain more business. We’ll include a responsive, mobile-friendly design with blog setup, basic on-page SEO, and an on-going maintenance plan that keeps your website in peak shape. If you already have a website that just needs a little sprucing up and optimization, we can help you tweak in just the right spots to harness the full potential of your lead generation and SEO. So you now have an awesome website—what’s next? Now we need to convert the visitors into customers by developing a lead funnel system that engages your visitors, customizes their experience, and leads them through the conversion process with relevant information and offers. Our team will utilize the platform developed in the production of your new website, then build a lead funnel system that turns prospects into customers. 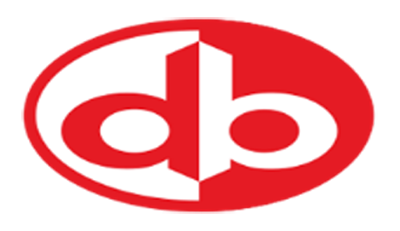 Power up your internal marketing resources with customized training and coaching by the experts at DB Marcom. From content strategy to analytics to social media management, we’ll help you add the internal skills needed to get the competitive edge. Want to get a snapshot of all your marketing activities in one place? We’ll make it happen by building a custom dashboard with connectivity and reporting on metrics such as content published, reviews received, website metrics, SEO reporting, keyword ranking, and social media metrics. To keep things on track and running smoothly, we’ll establish a regular cadence of monthly meetings to review progress, brainstorm next steps, discuss new opportunities and review reporting. Meetings can be held via phone, on-site visit or video conference. Market like a champion with this comprehensive package designed for businesses who play to win. Based on your strategic plan, customer personas, content plan and proposed calendar, we will research, write, produce and post 2 blogs per month focused on delivering relevant and meaningful content to prospective buyers and influencers. We’ll start with the Strategy Plan, Content Plan, and Editorial Calendar, then we’ll set up a social media portal and establish a posting routine based on your preferences and business needs. Each month our team will provide 40 posts to Facebook, LinkedIn, and Twitter, along with month-end reporting so you can see just how your social media activities are paying off. Ready to add Strength to your Bench? Need a tag-in? Add these elements to other packages or as stand-alone pieces to help you complete your roster. © 2019 DB Marcom- Frisco Marketing Company.